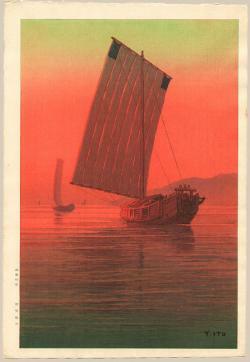 Yuhan, Ito (1882 - 1951), "Sailing Boat and Sunset"
Fine, slight waviness in paper. 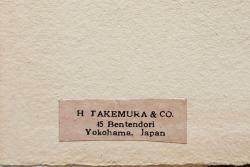 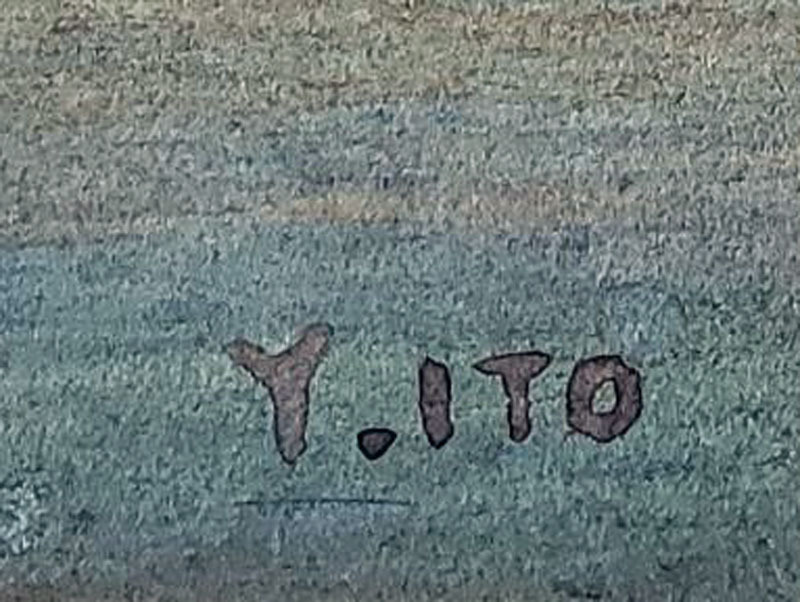 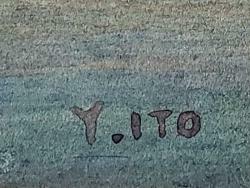 Notes: A seldom seen original watercolor displayed and sold through the little-known publisher H. Takemura & Co.; based in Yokohama, Japan. 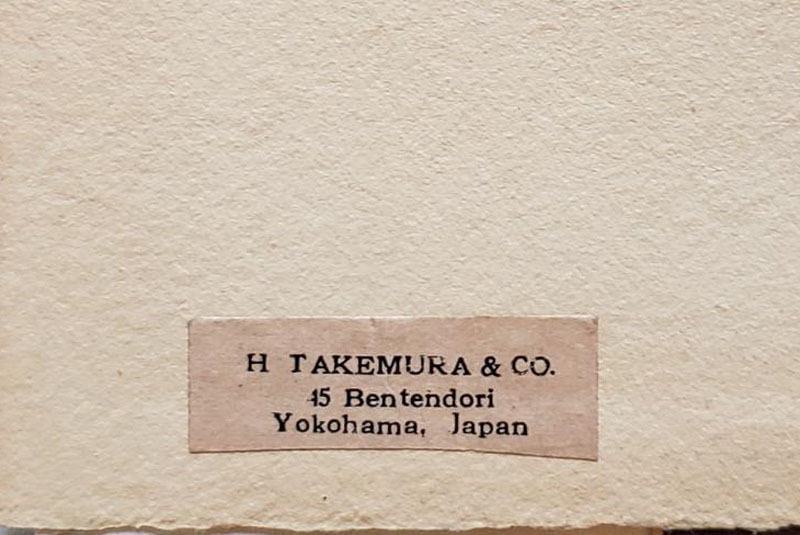 Takemura shop label attached to the reverse. 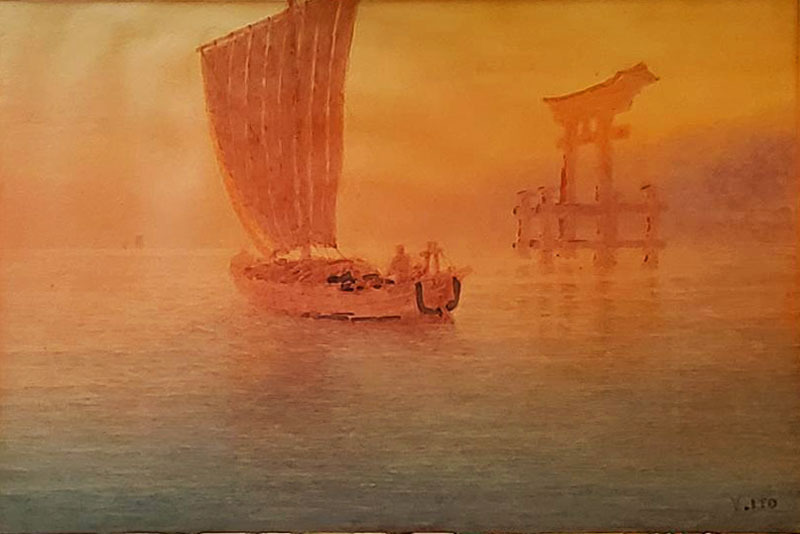 This painting displays similarities in color and design to the artist's finished woodblock print titled, "Sailboat and Sunset - Kominato Bay, Chiba".